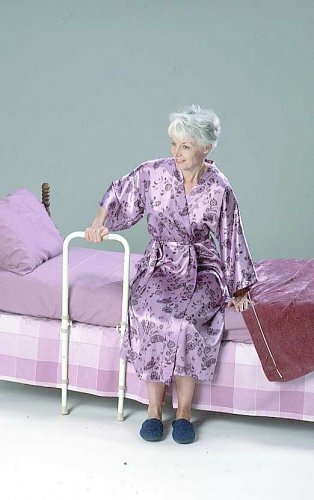 For many of us, getting in and out of bed can be quite a chore. Sometimes a little extra support is all you need to get up and going. 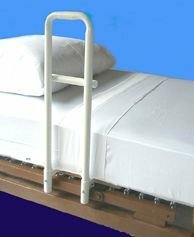 The Smart-Rail is a unique bed assist rail that locks in place at bedside to help you move in bed. A simple lift is all it takes to unlock and swing the rail out for a more effective position to help you stand up and get out of bed. No reaching... no twisting. 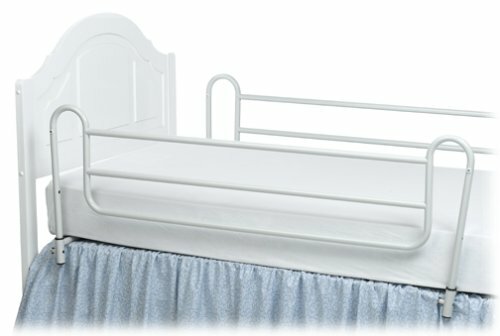 The bed rail can be mounted on either side of the bed. The installation is easy. 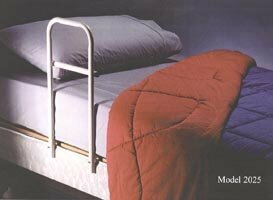 The rigid tubular steel frame simply inserts between box spring and mattress. 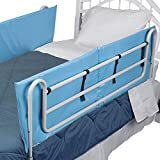 The Smart-Rail is 16" wide by 30" high and can be adjusted for greater height in the closed position, allowing for more protection while in bed. When the latch is released to swing out the Smart-Rail, the rail legs will reposition themselves to the floor for maximum support. 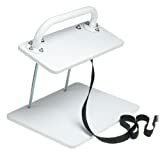 Supports up to 250lbs. No more waiting for a helping hand! 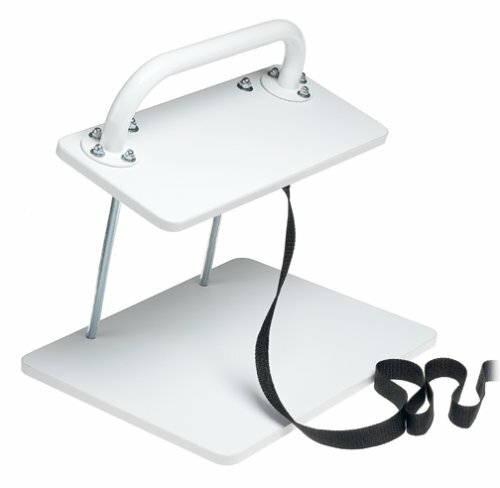 The Smart-Rail bed rail reduces the need for assistance during transferring. You have the proper support where you need it, when you need it! The cross brace adjusts from 26" to 46"
Rail Length: 46" - 72" * Rail Height: 16" * Cross Bar Width: 29" x 49"